The Ministry of Research and Innovation of Romania and the Romania National Institute of Marine Geology and Geoecology (GeoEcoMar) are organizing a high-level on "Sustainable development at the Black Sea". The conference is dedicated to the official launch of the future Strategic Research and Innovation Agenda for the Black Sea, and the first discussions and plans for its practical implementation. The conference is part of the Official programme of the Romanian Presidency of the EU Council. Conference of the "Med Lab Group: Innovative Practices in Coastal Tourism"
Once a year the Southern Europe and the Mediterranean programmes meet to discuss about those topics that are of their interest. The past editions were focus mainly on the governance of the area and on the connection with the cooperation programmes to those new initiatives such as the WestMed Initiative and the governance platform Panoramed. “Traditionally, coastal tourism in Europe has been based so far on the so-called 3S model: sea, sand and sun. Over the decades, the need for accommodating growing number of tourists has led to the massive urbanization of portions of the Mediterranean coast, often in a rapid and uncontrolled manner. Nowadays, coastal development is a bulging phenomenon concerning long stretches of the Mediterranean coast, leading to the artificialisation of coastal and marine ecosystems, habitat fragmentation and deterioration. Thus, its success itself can threaten its own economic viability. As a blue growth sector, it has however the potential to create well-being and jobs while contributing to the good state of coastal and marine environments”. ResponSEAble Project. The European Commission and the Co-Presidency of the Initiative for the sustainable development of the blue economy in the western Mediterranean are holding the project-support event WestMED Hackathons: Blue Economy contribution to the Summit of the Two Shores on Tuesday 14 May 2019 in Palermo, Italy. The event will allow stakeholders to exchange project ideas and promote concrete projects development in the maritime sector. Registration is mandatory and open until 1 May 2019. Ireland has begun developing its Marine Spatial Planning (MSP) framework, as guided by the MSP Directive 2014/89/EU. With a target date of implementing MSP by March 2021, relevant Irish authorities have been tasked with analysing and organising "human activities in marine areas to achieve ecological, economic and social objectives" through a framework that itself sits above a "hierarchy of plans and sectoral policies". As such, Ireland’s embryonic MSP efforts offer a uniquely opportune moment to broadly test and link theories and practices from across the discipline, establish critical space and nascent lines of enquiry at the land-sea interface, and engage productively to better appraise policy discussions now underway within agencies, between stakeholder communities, and across economic sectors. This session is seeking papers that will foster critical policy and practice discourses around the land-sea interface and MSP both in Ireland and abroad. • Coastal and marine systems resilience in a changing world. After the very successful seminar last year on The CFP and what should the next CFP look like, EFARO would very much like to invite you to join them again, this year on a seminar on the Ecosystem Approach and the Blue Economy. We will have speakers from industry, NGO, science and the policy community. The seminar will be held on the 15th of May at the Museum of Natural Science in Brussels. Please use this link https://goo.gl/forms/7tyIF8YbEl8M448y1 to register! More details on the programme will follow shortly. In the face of a rapidly evolving technological landscape, embracing a digitally enabled supply chain, adapting operating models to the ongoing digital revolution, adopting advanced & integrated digital solutions across the sector, and driving transformation before the industry is disrupted have been brought to the forefront of industry discussion. The need for collaboration across the industry for the promotion of knowledge sharing, advancing innovation, reducing costs and maximising capabilities is also becoming of central importance to industry development. The Future of the North Sea Digital Transformation Summit will address such challenges by uniting the North Sea supply chain, supporting cross-sector collaboration, driving transformation, aligning incentives throughout the supply chain and securing the future of the industry. The third international consultation meeting on the draft Maritime Spatial Plan of Polish Sea Areas in the scale 1: 200 000. The German Federal Maritime and Hydrographic Agency will hold its annual marine environment symposium on 4 - 5 June 2019 in Hamburg, Germany. This conference will enable participating countries to share experiences in addressing the multiple challenges facing the oceans. The Our Ocean Wealth Summit forms a key part of the Government’s integrated marine plan - Harnessing Our Ocean Wealth. The next (2019) edition of the EurOCEAN conference will take place on 11-12 June 2019, in Paris (France), hosted by the Intergovernmental Oceanographic Commission of UNESCO (7 place Fontenoy - 75007 Paris, France) and managed by the European Marine Board. 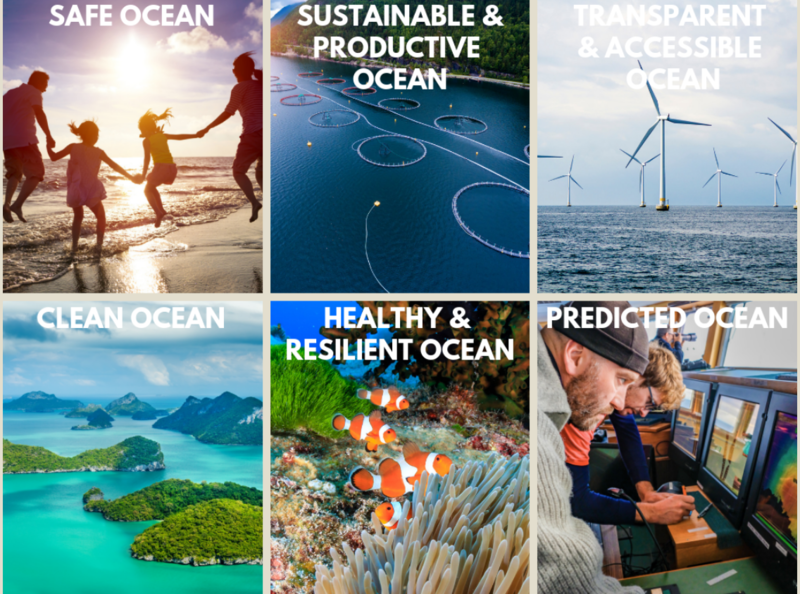 To keep track of the most recent information on this event visit the conference series' website (www.euroceanconferences.eu) or the Marine Board website (www.marineboard.eu), or follow the Marine Board on Twitter (@EMarineBoard). 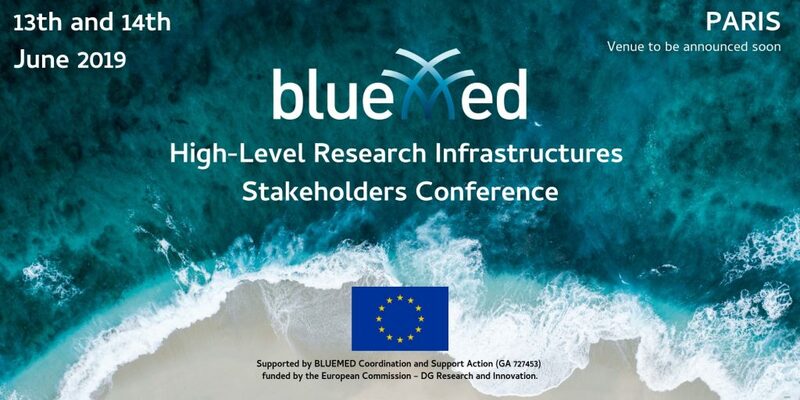 The BLUEMED High-Level Research Infrastructures Stakeholders Conference will bring together the Mediterranean scientific community and high-level policy makers to enhance the dialogue on cooperation in the field of research infrastructures. 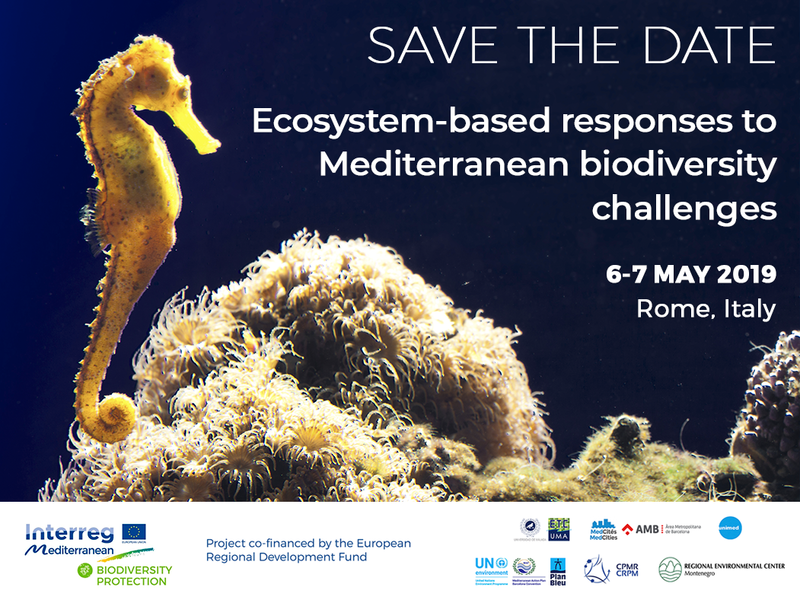 This two-day event aims at further strengthening marine and research innovation in the Mediterranean through the proposal of concrete actions and it will pave the way towards the implementation of BLUEMED Strategic Research and Innovation Agenda priorities. Participants may propose panels, papers, but also posters and other visual materials, such as documentary films. Besides the more traditional conference formats we encourage proposals with innovative formats that stimulate interaction such as roundtables, workshops, brainstorming sessions and debates. As for paper-based panels, we encourage formats that invite deeper discussion, for example by including discussants or by peer reviewing each other’s papers. The conference organizers may prioritize proposals that take such matters into account. Deadline for panel, paper proposals and other conference formats: January 31st, 2019. The organisers are delighted to invite you to submit abstracts for an oral presentation or a poster at OCEANEXT, to be held in Nantes, France from 3rd – 5th July 2019 within the MER XXL, the first French exhibition on the sea. More information about the conference here (in French). The 12th Baltic Sea Science Congress 2019 will gather the marine research community at Stockholm University for discussions on the last 10 years of Baltic Sea research and how it has adopted new interdisciplinary approaches and scientific disciplines. Policy aspects of the latest research will also be discussed. This year’s EMBS will take place in Dublin on August 25 to 29. It will be hosted by University College Dublin, in the state-of-the-art O’Brien Centre for Science. The social programme will provide opportunities to sample the the city’s famous cultural life and explore the UNESCO Dublin Bay Biosphere. 2019 will be the International Year of the Salmon, a fish that has a special place in the mythology of Ireland. Look out for salmon throughout the scientific and social programme. Find out more about the Symposium themes for 2019, the keynote speakers and the key dates. The call for abstracts is open until 3 April 2019. The 2019 Annual International Conference will be held at the Society in London, from Wednesday 28 to Friday 30 August 2019, with pre-conference events on Tuesday 27 August 2019. The chair's theme is Geographies of trouble / geographies of hope, and has been selected by the chair of conference, Professor Hester Parr (University of Glasgow, UK), in conversation with the Society's Research Groups and the Research and Higher Education Committee. The Planning Research Conference will be hosted by the University of Liverpool from 2nd-4th September 2019. The conference will bring together international researchers and practitioners to discuss the latest developments in planning. It will feature keynote talks from leaders in the field, roundtables, study tours and the opportunity to present work to colleagues. The conference will also provide visitors with an opportunity to visit Liverpool, a city which has changed hugely in the last 20 years yet retains a unique maritime history. A research workshop of the MSPRN and AESOP Thematic Group on Transboundary Spaces, Policy Diffusion and Planning Cultures will be organised by the University of Hamburg. The workshop will focus specifically on the challenges of spatial planning and governance at the land-sea interface. Under the EU Maritime Spatial Planning (MSP) Directive, Member States are tasked with the preparation of maritime spatial plans by 2021. These plans are required to take account of land-sea interactions. Experience to date, however, indicates that MSP occupies a different institutional and policy space to land-based terrestrial spatial planning. At the same time as MSP is becoming established as a formal policy instrument applied in a coordinated manner across Europe, European spatial planning has reached an impasse, with a discernible shift away from ambitious spatial strategies over the last two decades. Furthermore, as policies and practices of integrated coastal zone management are displaced through a focus of attention on MSP, there is a risk of a ‘new coastal squeeze’ where the land and marine become institutionalised as distinct policy spaces. This interdisciplinary workshop aims to explore and critically reflect on the capacity for MSP and spatial planning more broadly to address the challenges posed by the sustainable governance of the land-sea interface. In particular, we will focus on the spatial dimensions of MSP and spatial planning at the coast. Key topics for discussion and reflection include the capacity of MSP to work with relational connections across space and the potential to engage with place-based knowledges and multiple ways of knowing the sea. The workshop will include a mix of keynote presentations, interactive break-out sessions and a limited number of research papers solicited through an open call for papers (to be announced shortly). The EMSEA’s 7th annual conference will be hosted by the Azores' Regional Fund for Science and Technology (FRCT). Theme 4 of EMSEA 2019 is about Marine Protected Areas (MPAs) & Marine Spatial Planning (MSP). Invitations will be sent to projects that can showcase the relationship between ocean literacy, understanding the value of MPAs & improving MSP for all stakeholders. The abstract submission is open until 30th April. The International Conference on Coastal Ecosystem and Management is scheduled on September 16-17, 2019 at Amsterdam, Netherlands. Coastal Zone 2019 includes prompt keynote presentations, oral talks, poster presentations and exhibitions. This Coastal Zone 2019 aims to bring together leading academic scientists, researchers and research scholars to exchange and share their experiences and research results on all aspects of Coastal ecosystem and ocean sciences. It also provides a premier interdisciplinary platform for researchers, practitioners and educators to present and discuss the most recent innovations, trends, and concerns as well as practical challenges encountered and solutions adopted in the fields of coastal zone management. SAVE THE DATE for the »Mediterranean Coast and Macro-regional Strategies Week 2019 – SEA4FUTURE« which will take place between the 17–28 September 2019 at Slovenian coast. The traditional event aims to raise awareness on the sea and coast and their natural resources and economic potential, as well as to expose the risks to which the sea and coast are exposed to due to the natural phenomena and human actions. The event will bring together practitioners, experts and general public. Special attention will be given to the stakeholders’ views on the state of play and the future of the sea and coastal management. The Mediterranean countries are celebrating the Mediterranean Coast Day since its launch on the 25th of September 2007. The 25th of September was chosen as the Mediterranean Coast Day to honour Slovenia as the first country in the Mediterranean region which ratified the Protocol on Integrated Coastal Zone Management (ICZM) in 2009. The ICZM Protocol is a unique legal instrument which allows the countries in the Mediterranean to better manage and protect their coastal zones in pursuit of sustainable development. Each year, one of the Mediterranean countries is a host of the Mediterranean Coast Day main celebration, while other countries organize their own events. In Slovenia, the celebration is widely known as the “Mediterranean Coast Week” and is inextricably linked to the regional cooperation under the three European macro-regional strategies which are implemented in the Slovenian territory, namely the Danube, Adriatic-Ionian and Alpine strategy. “Mediterranean Coast Week” will take place between the 17 -28 September 2019 at Slovenian coast. Events will bring together experts and general public. Further information about the event will be available on the dedicated website of the EU Strategy for the Adriatic and Ionian Region (EUSAIR) in the next weeks: http://www.adriatic-ionian.eu/ . On the EUSAIR YOUTUBE dedicated channel short video reportage from the Mediterranean Coast and Macro-regional Strategies Week 2018 activities is available “Mediterranean Coast and EU Macro-regional Strategies Week – SEE MY SEA''. We want YOU and your session at YOUMARES 2019, on September 24 to 27 2019 in Bremen! YOU can chair a scientific session for a young, professional audience! This requires the handling of the presenters abstracts and the moderation of the session during the conference. Euroscicon Ltd. offers invites participants to the “13th International Conference on Oceanography & Marine Biology” during September 26-27, 2019 at London, UK. It includes prompt Keynote presentations, Speaker presentations (Academic and Young research forum), Poster presentations and Exhibitions. The Partnerhsip for Regional Ocean Governance team is currently preparing the organisation of the PROG Marine Regions Forum in collaboration with renowned international experts from practice and science. The PROG Marine Regions Forum is a new format which will facilitate solution-oriented learning and exchange among different sectors and marine regions. The aim of the conference is to support the development of new governance approaches to address critical ocean sustainability challenges. 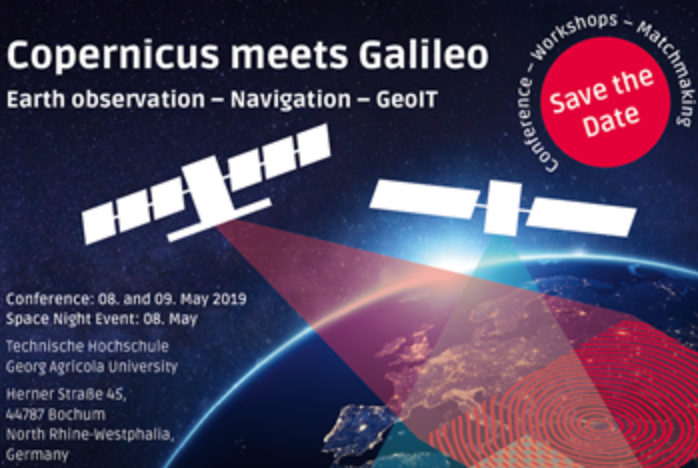 The first conference will take place from 30 September to 2 October 2019 in Berlin, Germany. The fourteenth MEDCOAST congress in Marmaris (Turkey) takes place at a time when the European Commission is keenly involved in facilitating programs for Mediterranean and the Black Sea in the fields of Integrated Maritime Policy (IMP), Maritime Spatial Planning (MSP) and Blue Growth (Economy). The Marmaris congress will provide excellent opportunities for discussing national and regional efforts and capabilities in these and related fields as well as the future needs and directions. The meeting will also be a good occasion for networking and collaboration initiatives. The congress takes place at a time when the European Commission is keenly involved in facilitating programs for the Mediterranean and the Black Sea in the fields of Integrated Maritime Policy (IMP), Maritime Spatial Planning (MSP) and Blue Growth (Economy) and this important event will be an excellent opportunity for discussing national and regional efforts and capacities, as well as for networking and collaboration. The deadline for abstract submission is 31 May 2019. We invite you to SAVE THE DATE for the 3rd Baltic MSP Forum that will take place on 20-21 November 2019 in Riga, Latvia. The Forum is serving also as the final conference of Pan Baltic Scope collaboration. The Forum is built on the success of the 2nd Baltic MSP Forum and it has become a regular event providing a platform for discussions among those involved in the maritime spatial planning. The focus of this Forum will be on the results and findings of Pan Baltic Scope collaboration related to the development and advancement of the existing tools and methods as well as national case studies contributing to the final stage of the elaboration of the national maritime spatial plans in the Baltic Sea. At the same time the findings will greatly support the update of the HELCOM Baltic Sea Action Plan. Mark your calendars for the next SOS – the annual gathering of the global ocean business community dedicated to advancing private sector action on ocean sustainable development, organized by WOC – the global Blue Economy Business Organization. With the theme of “Investing in Ocean Futures: Finance and Innovation for the Blue Economy”, the SOS 2019 will be the first international ocean business conference dedicated to investment and innovation for sustainable development. The symposium will be hosted by the Coastal Environments Research Group, Universidad Pablo de Olavide de Sevilla, under the auspices of the Coastal Education and Research Foundation (CERF) and the Journal of Coastal Research (JCR). The proceedings of the conference, published as peer-reviewed papers in the Journal of Coastal Research, represent an invaluable resource for coastal scientists, engineers and managers. Please note that abstracts submission is already open until 2nd of April 2019.